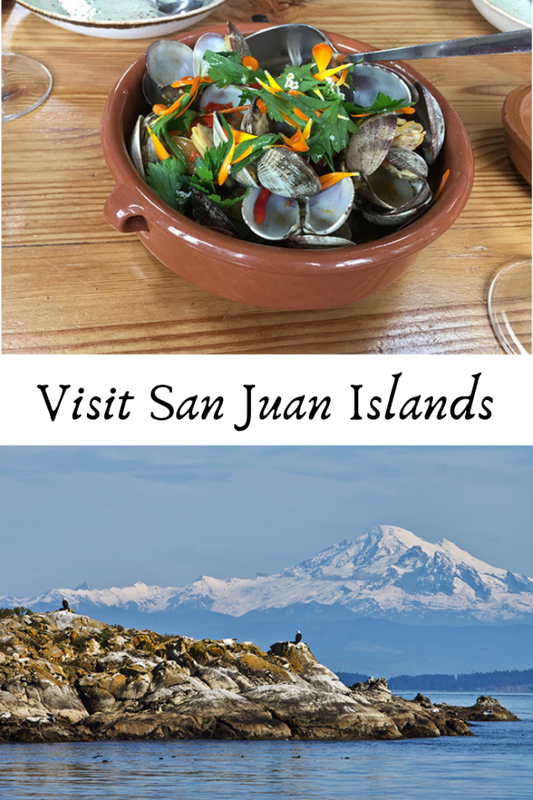 Have you ever heard of the San Juan Islands? If you don’t already know where they’re located you might envision a tropical paradise somewhere in the Caribbean. Where are the San Juan Islands? The San Juans (as they’re referred to) is an archipelago in the northwest corner of Washington State between the U.S. mainland and Vancouver Island, British Columbia, Canada. There are 172 named islands and reefs in San Juan County, but only four of them are accessible by ferry. 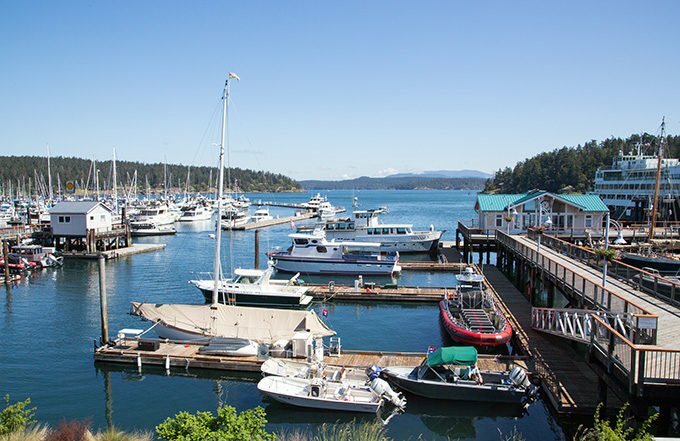 San Juan Island, Orcas Island, and Lopez Island are the most populous and host the vast majority of lodging and dining options and tourism activities. Shaw Island is also accessible by ferry but has limited camping and visitor amenities. Why are they called the San Juan Islands? The name “San Juan” was given to the islands by the Spanish explorer Francisco de Eliza, who charted the islands in 1791, naming them Isla y Archiepelago de San Juan. The expedition sailed under the authority of the Viceroy of Mexico, Juan Vicente de Güemes Padilla Horcasitas y Aguayo, 2nd Count of Revillagigedo and Eliza named several places for him, including the San Juan Islands, Orcas Island (short for “Horcasitas”) and Guemes Island. San Juan Island’s first European discoverer was one of the officers under Eliza’s command, Gonzalo López de Haro, for whom Haro Strait is named. Will I find Wildlife on the San Juan Islands? The San Juan Islands host the greatest concentration of bald eagles in the contiguous United States. You’ll also find a large assortment of other birds throughout the summer season. 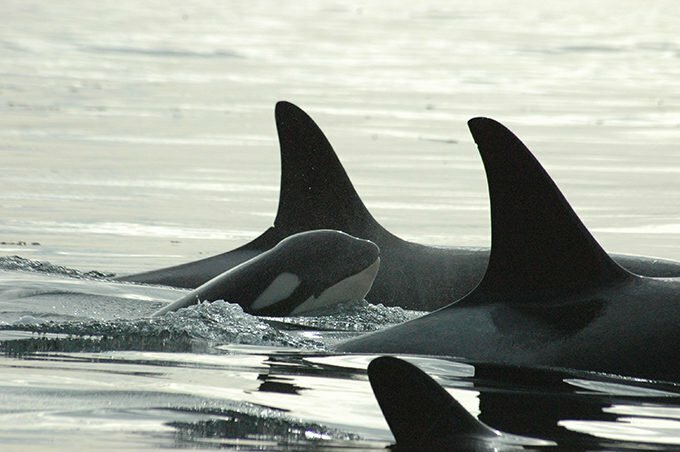 The islands are famous for their resident pods of orcas and transient orcas. 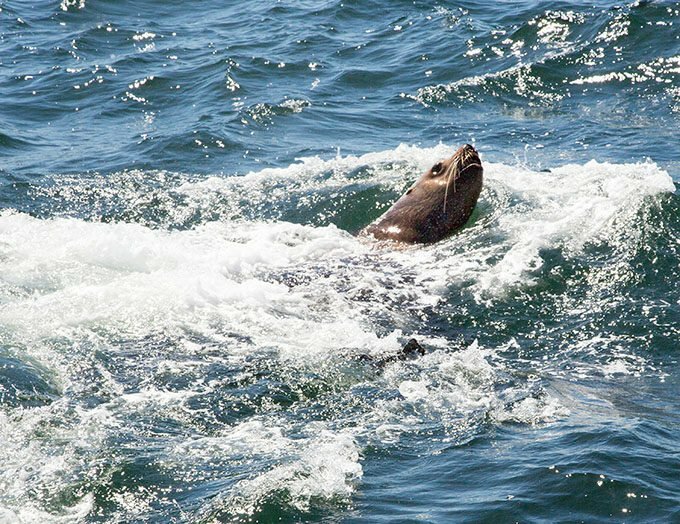 Sea lions, harbor seals, common minke whales and Dall’s porpoise can also be found in the waters surrounding the San Juan Islands. 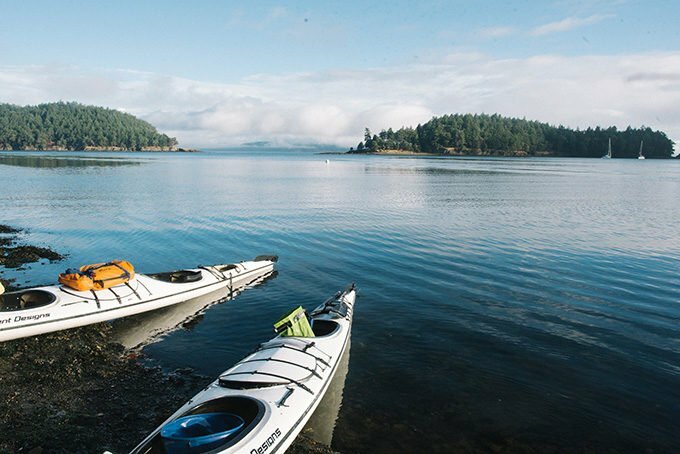 What is there to do in the San Juan Islands? Here’s a delightful dilemma: what will you do first during your visit to the San Juan Islands? Go whale watching? Head out on a kayak trip, cycle around Lopez, hike trails through forests or along the water? Climb Mount Constitution on Orcas? Take a drive on the San Juan Islands Scenic Byway? Sample as many island eateries as you can? Stroll the galleries rich with local artists’ works or the enticing boutiques in Friday Harbor, Eastsound and Lopez Village? Relax on a beach and enjoy the long views of sea and mountains? 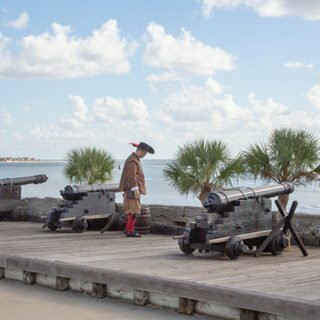 Every island offers you an abundance of choices—luckily, you can’t go wrong. 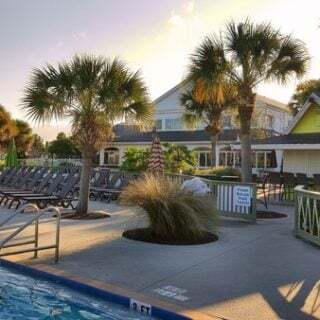 If you’re looking for fun activities for the whole family, such as zip-lining, horseback riding, paddle boating, kayaking or sailing, check out our Family & Kids Activities page. One of the highlights of our trip was taking a whale watching tour with San Juan Safaris. Not only did we get to see Orca’s we also got a good look at Sea lions, Harbor Seals and Dolphins. Here you see the Stellar Sea Lions lying on the jetty relaxing, with a few in the water just enjoying life. 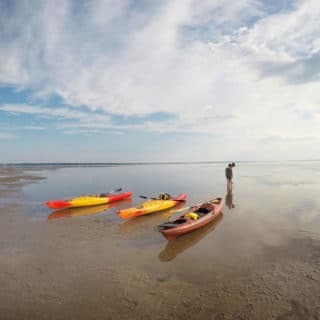 If you enjoy Kayaking the San Juans are the perfect spot for your adventures. The beautiful waters are teeming with life with accessible shorelines to continue exploring the area on foot if you enjoy hiking. The San Juans are also perfect for biking, fishing, and just about any type of water fun you imagine. Rent a sailboat or charter a tour, there is something for everyone on the San Juan Islands. And let’s not forget shopping, the arts, history and just plain old site seeing. 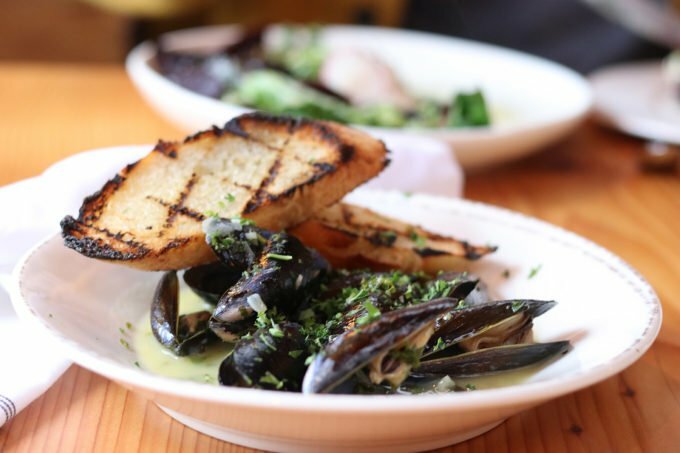 How is the Culinary scene on the San Juan Islands? 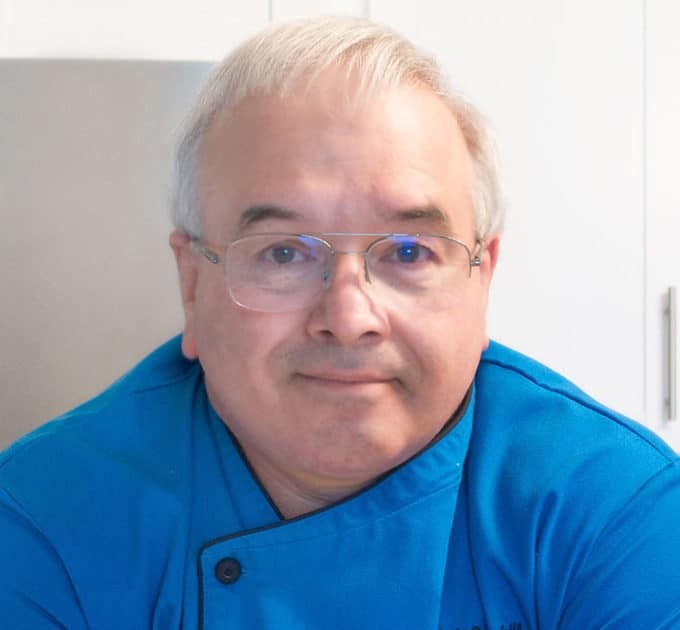 If you think that a small group of islands wouldn’t have much to offer in the way of a culinary scene, but you’d be wrong! Chefs all reach a point in their lives when they get tired of the rat race and feeding thousands. That’s the time that they return to their roots and remember why they fell in love with food. Working on an island has its challenges since most foods need to be ferried in, but it also has its advantages. Access to fresh seafood and a better way of life. Both of these factors come into play when you dine in the San Juans. 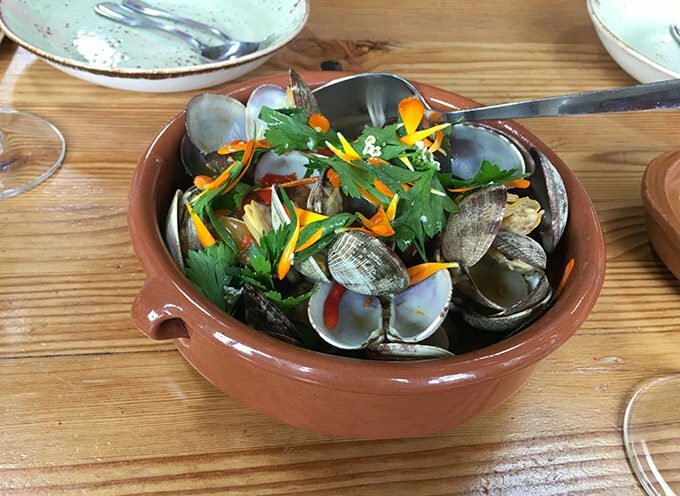 This bowl of local steamed clams at the Doe Bay Cafe on Orca’s Island is a sampling of the fresh local seafood you can expect. 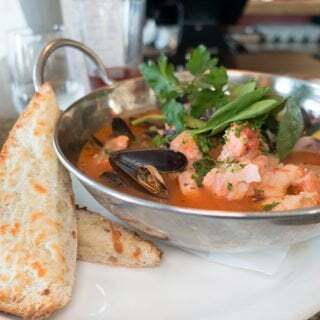 And when you visit the Pacific Northwest you can expect dishes like this beautiful bowl of local mussels in a delightfully delicious sauce. This is from one of my favorite restaurants on Friday Harbor, Duck Soup. And cocktails at the Friday Harbor House is always a good idea. How do I get to the San Juan Islands? There are no bridges to the San Juan Islands but you will find four ferry systems that serve some of the San Juan Islands. Washington State Ferries serves Lopez Island, Shaw Island, Orcas Island, and San Juan Island from terminals in Anacortes, Washington and Sidney, British Columbia. 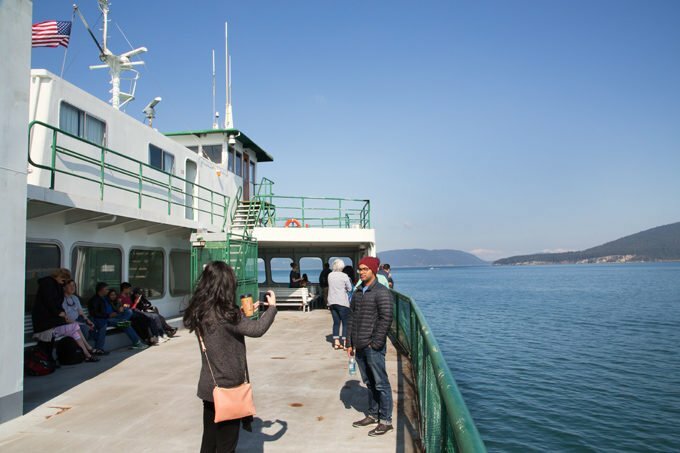 Puget Sound Express provides passenger-only service from Port Townsend, on the northeast corner of the Olympic Peninsula, to Friday Harbor, San Juan Island. Clippers Vacation, Victoria Clipper provides ferry service to Friday Harbor. Guemes Island Ferry provides service from Anacortes to Guemes Island. Passenger-only ferries serve more islands. 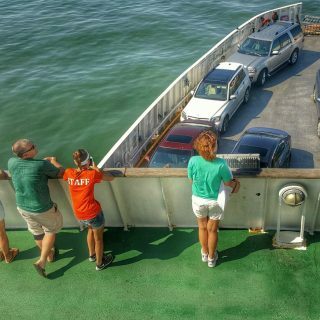 Passenger-only ferry service is usually seasonal and offered by private business. 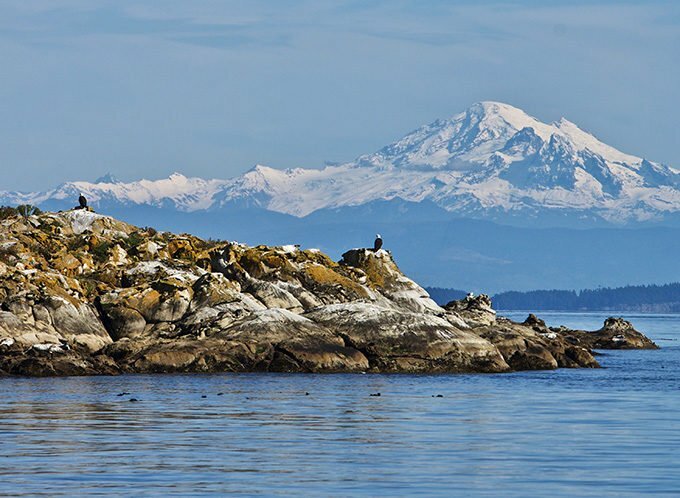 San Juan Cruises offers charter service to Eliza Island, Sinclair Island, Blakely Island, Orcas Island, Lopez Island and daily seasonal service to San Juan Island from the Bellingham Cruise Terminal in Bellingham, Washington. Kenmore Air flies to Fridays Harbor, Orcas Island and Vancouver, BC. Kenmore flies out of Seattle/Lake Union, Kenmore, Lake Washington, Seattle Boeing Field and Sea-Tac. San Juan Airlines has daily flights to five locations in the San Juans: Orcas Island, Friday Harbor, Roche Harbor, Lopez Island, and Blakely Island. 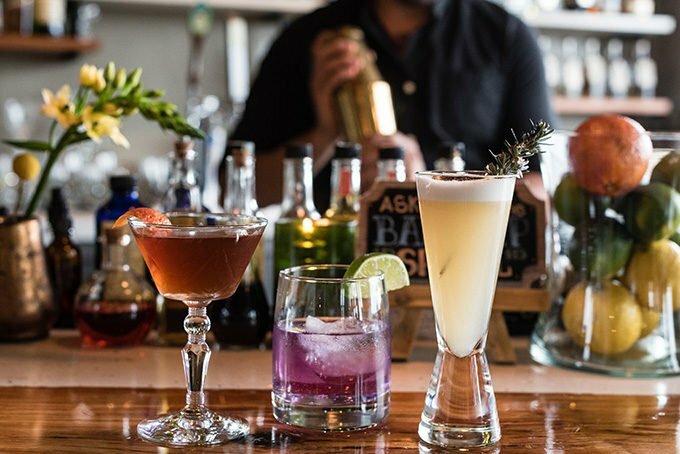 These flights leave from Bellingham and Anacortes. Charter flights are available to the other islands. This is an affiliate link and If you are booking a trip to the San Juans or anywhere else in the world I would appreciate it if you could use this link. The added income helps me keep traveling and writing about my travels. Such a wonderful Island that I want to visit. So beautiful and the place was amazing! Thanks for sharing this with us! I haven’t been to San Juan Islands, but it seems like an interesting place to be by the water. San Juan island is really beautiful may be someday I can visit there. Not sure when. Your post is so amazing making to book the ticket right now. food looks delicious too. I would love to visit here. It looks so beautiful and calming. Grat pics. This sounds like an amazing trip. I would love to explore out on the west coast. You saw a lot of great wildlife! This is the first time that I’ve heard of San Juan Islands. The place looks gorgeous and the seafood is making me drool. I would certainly love to go there someday. Thanks for sharing this information, there’s so much to see and do. Hoping to add a visit to the San Juan Islands. Oh wow. This is a perfect place to visit! I’d love to see the wildlife and taste all the food! I’ve never been to Juan Island. This looks like a pretty amazing experience. I would love to visit. Oh wow I bet this was absolutely incredible to get to see the whales so close up! I would love to do something similar myself one day. I never heard of these islands, but I would love to explore them someday. The whale-watching sounds like so much fun. I’ve never been to the San Juan Islands. We usually vacation in the Caribbean. I would love to visit and go whale watching. I’ve always wanted to take one of those tours. We have seen the whales in Alaska but have not visited San Juan Island to experience the whales. Totally amazing site to see. All the food looks delicious. I’d know I’d love it here. I always enjoy being near the water. Plus, seeing the whales would be amazing. My husband would be all about the fresh seafood. That sounds like such an amazing place to visit. I will have to add it to my bucket list.